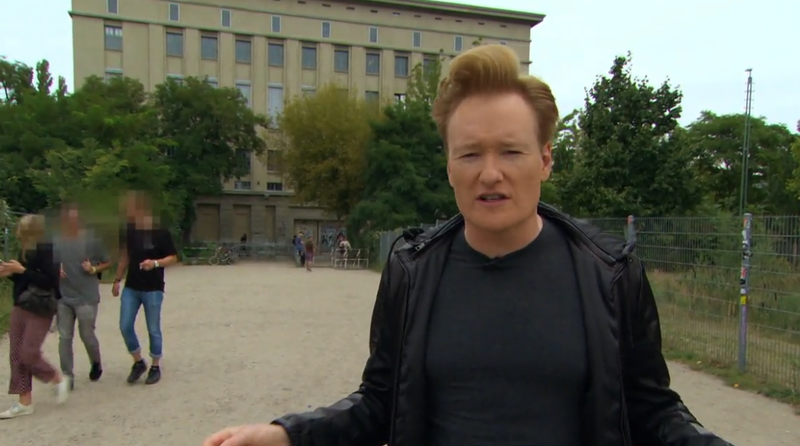 Watch Conan O'Brien Getting Rejected at Berghain - Track? !D. Conan O’Brien visited many different places at Berlin. He went to Berghain at the end of summer at 2016. The US comedian was filming a part for his late night show in which he askS people and takes tips about how to get into the "Infamous" Berghain. Watch what happens when he tries to get in at the videos below. Berghain (German pronunciation: [bɛɐ̯k.haɪn]) is a nightclub in Berlin, Germany. It is named after its location near the border between Kreuzberg and Friedrichshain in Berlin, and is a short walk from Berlin Ostbahnhof main line railway station.An American journalist described Berghain in 2007 as "quite possibly the current world capital of techno, much as E-Werk or Tresor were in their respective heydays"
Berghain is the reincarnation of the "legendary" Ostgut club (1998–2003) and emerged from a male-only fetish night club called Snax, which was held in different locations before it found its permanent home at Ostgut. Ostgut became a focal point of Berlin's techno subculture after the venue was opened to the general public on regular nights, while the exclusive Snax nights continued to be held six to eight times a year. 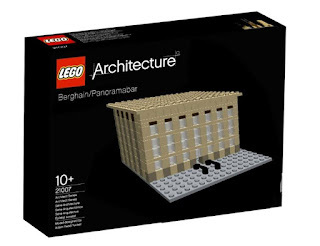 You can now build your own Berghain.